Abdullah Karacan, general president of DİSK/Lastik-İş (Rubber and Chemical Workers’ Union) was assassinated 13th November, while visiting union members at a Goodyear factory in the city of Adapazarı. Unite the union in the UK and Ireland is deeply shocked and saddened to hear of the assassination of Abdullah Karacan, general president of Turkey’s DİSK/Lastik-İş (Rubber and Chemical Workers’ Union) and the attempt on the life of regional president of Lastik-İş Mustafa Sipahi and shop steward Osman Bayraktar, while visiting union members at a Goodyear factory in the city of Adapazarı in Turkey. 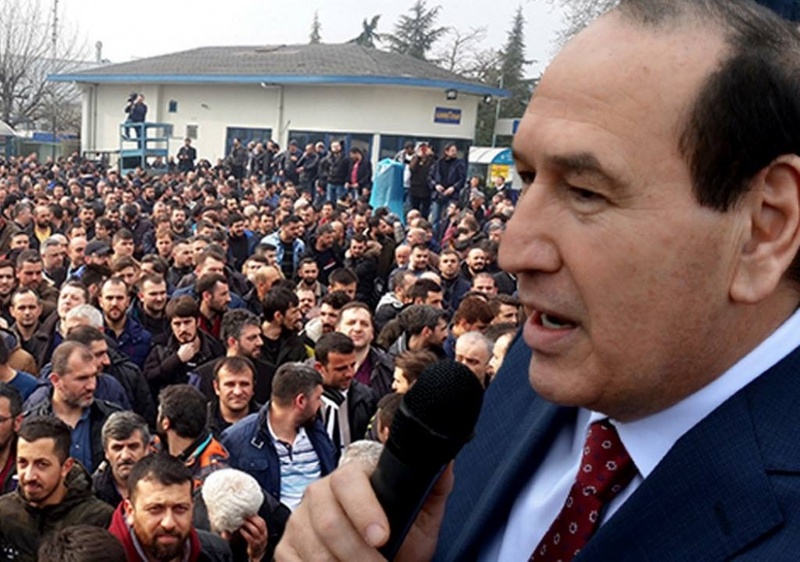 The United Steelworkers condemned the brutal assassination today of Abdullah Karacan, general president of the Turkish Rubber and Chemical Workers’ Union Lastik-İş. Karacan was murdered while on a visit to workers at the Goodyear factory in the city of Adzapari. The union’s regional president, Mustafa Sipahi, and shop steward Osman Bayraktar were also wounded in the assault. Bayraktar remains in critical condition. “We are outraged by this vicious assault on our sister union, which reflects the erosion of democratic rights under the Erdogan government in Turkey,” said USW International Secretary-Treasurer Stan Johnson. Johnson co-chairs the rubber industry section of IndustriALL Global Union, the global union representing industrial workers to which both USW and Lastik-İş are affiliated. Karacan, a member of IndustriALL’s Executive Council, led the fight against contracting out by major tire companies in Turkey including Bridgestone, Pirelli and Goodyear, winning permanent jobs for thousands of union members. A committed internationalist, Karacan visited the United Kingdom in 2015 to support of members of UNITE the Union at Goodyear who were fighting against closure of their plant in Birmingham. The USW and UNITE are partners in the global union Workers Uniting.